A freshly issued government policy paper on disguised remuneration has been attacked by those affected by the 2019 Loan Charge. The five are; ‘The schemes were and still are legal,’ ‘Many were forced to use them,’ ‘Users paid the correct amount of tax due at the time,’ ‘HMRC knew and did nothing for decades’ and ‘The motivation was fear of IR35’. Less in dispute is an extension of the date by which HMRC says those affected should submit all the vital details to its officials, if settling is the intention. But even this irked taxpayers too. 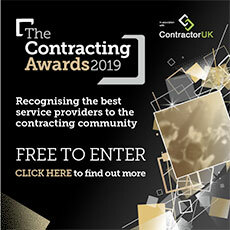 The Revenue expects a reported 30,000 contractors to come forward by the September deadline, additional to the 5,000 freelancers it claims have handed over £500 million already. Regarding payments, the department expects an average of £50,000 each per scheme user, indicating a collective, total payment upwards of £1billion, the Times reported. Behind the scenes, the Revenue is writing to the almost 21,000 scheme users who have already accepted that they used ‘non-repayable loans’ and have registered an interest in settling. Seemingly designed to nudge them to settle, the HMRC letters state: “You should also be aware the Accelerated Payment Notices (if applicable) cannot be set against the Loan Charge”. In the briefing paper, the Revenue could be referring to APNs when it talks of its “range of powers” to tackle those who promote or enable tax avoidance. Although the department’s ‘enabling penalty’ of £1million is probably more what it had in mind, a leading tax dispute advisory believes it is HMRC’s ‘carrot’ not just its ‘stick,’ which does not always bear scrutiny. “HMRC claims that they always listen to taxpayers – ‘customers’-- who may have difficulty paying, and are flexible,” says the advisory, WTT Consulting. As to the HMRC claims made in the policy paper which WTT suggested were also open to challenge, the introduction of section 4 is an example. In it, the Revenue states that, “the 2019 charge will affect users of disguised remuneration schemes who haven’t repaid their loans”. Jim Armitage, the Evening Standard’s city editor confirmed: “It would be nice to think that the accountants who invented the schemes got clobbered too, but I suspect most are long gone”.